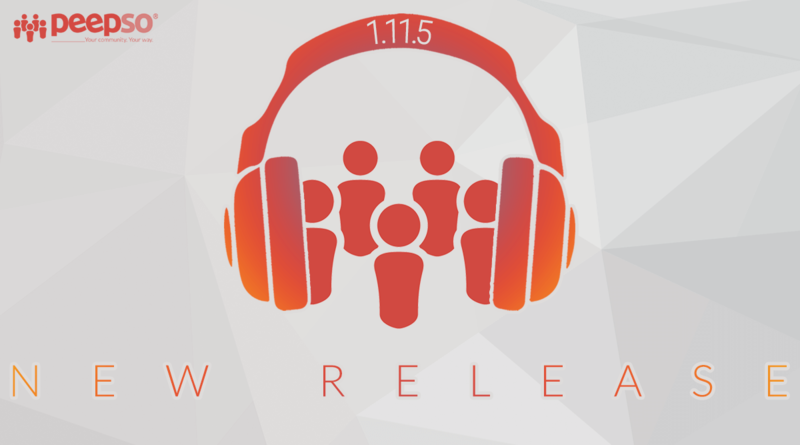 First release of November and we come with brand new Audio Uploads feature. Podcast community? No problem. Music artists? Got you covered. Uploading own audio files right within the community is one of the main features of this release. No worries, it’s not the only one. Join me on this epic 1.11.5 discovery adventure. Videos plugin is getting another feature and with that in mind be ready for rebranding of the plugin from Videos to Audio / Video in one of the next releases. But coming back to the feature at hand. Audio Uploads! Yay! It’s finally here, we have been asked about this one for a very long time and it’s available now. Upgrade to the latest version and enjoy the magic of being able to share audio files. Creating a podcast community or a community for music artists is really easy to do now. Audio Uploads should be considered a rather beta release of a feature at this time, but have no fear, all seems to be working great. The feature is rather pleasant on the server as it doesn’t have any huge requirements to work. It should work out of the box on most servers too, just make sure finfo_open() is available within your server configuration, you might need to consult your hosting about it. 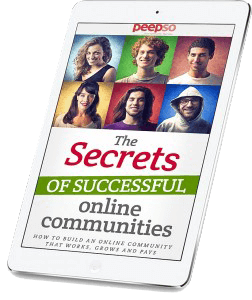 Matt’s Hover Card within PeepSo Community. Hover Cards are also working now with author box in BlogPosts plugin. If you scroll down to the end, you’ll see the about the author section, or how we call it here: “brought to you by”, Hover Card is also showing upon hovering over author’s name. We take our work very seriously. Beginning of this year Matt wrote an article about the importance of upgrading to PHP7. Even if not for security reasons than just for the sheer speed improvement. It’s a bit sad that many other developers don’t really seem to care about that sort of thing. Especially with the support for the entire php 5.x (or even 7.0.x) coming to an end very soon – that means vulnerable sites and open hacking season. With that in mind, we’re going to nag you for your own good and display a big warning in the backend of your site if you’re still using old php with a link to the aforementioned article. Why? Because we care. Of course there’s only so much we can do about it so you’ll have an option to dismiss the warning if you like living dangerously. Backend warning about outdated php. Dashboard gives quick overview of the community with latest posts, users, comments etc. Configuration contains all of the setting options for PeepSo and its child plugins. Manage now contains everything that has to do with managing reported items, profile fields, VIP icons, Groups or Group categories etc. Queues gives a quick view into queued emails, uploaded videos or GDPR profile downloads requests. Getting Started helps you ‘quick start’ your community with a nice introduction to the configuration, shortcodes and more. Addons shows a list of our available plugins for PeepSo. It’s been done thanks to you and your feedback. I hope you’ll like the newly organized backend and are able to find everything you need easer. Improvements to the mobile experience, for example moving “Report” inside the same cog as “Block” as to save some space and make the UI clearer. User tags show VIP icons. We also unified the cover image ratios across the board. It’s the same ratio within User Profiles, PeepSo Profile widget and Hover Cards. We have already started working on compatibility with php 7.3 and it’s still in RC stage. You can see the full changelog here to see everything done in this release. For what’s coming in the next ones, see our Future page. With the new backend reorganisation, where can I now find the list of activities? We use this to compile our weekly newsletter and now I can't find them and I need to send out our newsletter today. Any guidance to locate would be greatly appreciated. Thanks. Matt Jaworski One other point - Admin users still can't see posts if they've been marked as 'Friends only'. On the Activity screen Admin could at least see a post had been made, if not the content. Now that there is no activity screen we can no longer see that the post has even been posted. Are you considering making 'Friends only' posts open for Admin users? Thanks. There also seems to be a glitch with the new update and searching for members. If you search under 'latest members' it no longer works. Thanks.